Dimensions: Vinyl growth chart measures up to 6'5"
Keep track of how your little princess grows with this personalized little princess growth chart. 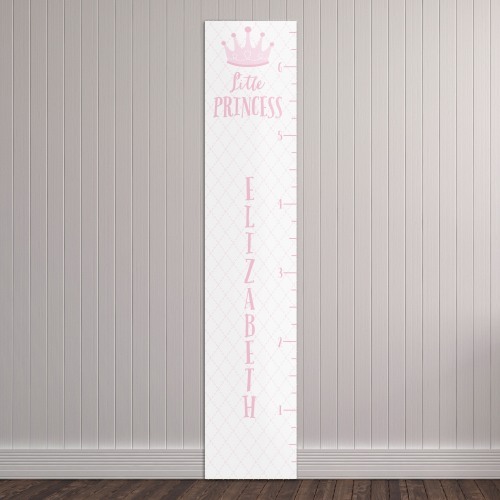 With a pink crown and "Little Princess" text on a pink lattice design, this chart goes up to 6.5 feet, ensuring you can mark her growth milestones from her toddler to teenage years. To complete the look, just add her name. She'll love to look back on this keepsake item for years to come.